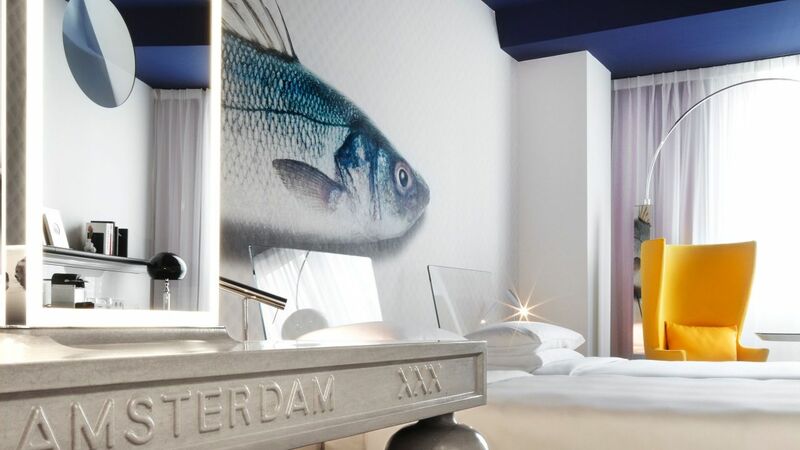 With views over Amsterdam’s Prinsengracht canal, our Secret Garden, or the hotel’s interior Observatorium-themed Atrium lobby, experience comfort and sophistication in 122 stylish guest rooms, including 5 signature suites, with the Prinsengracht Suite boasting Amsterdam’s largest hotel terrace overlooking the canals. 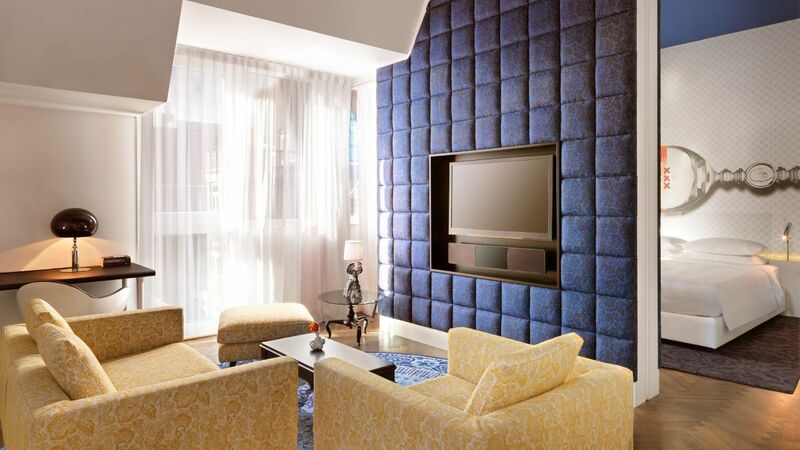 Indulge in this 141-square-meter, top-floor suite boasting locally inspired décor. 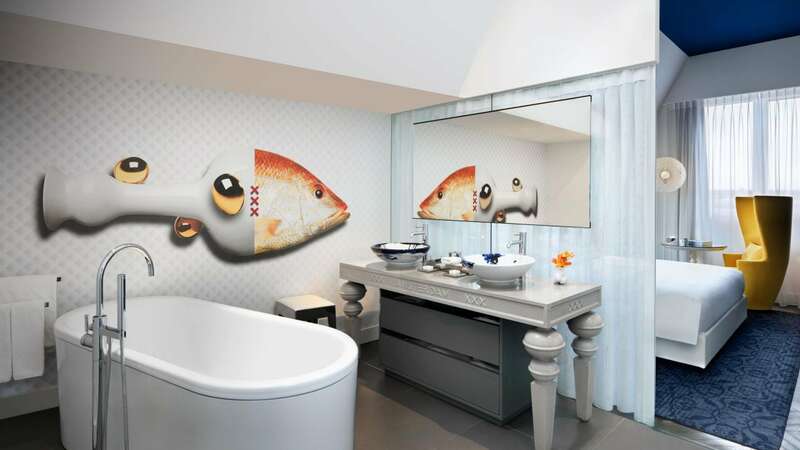 This one-bedroom suite features a king bed, living room, dining table, kitchenette with pantry, library, balcony, and an oversized bathroom featuring a Marcel Wanders-designed bathtub and walk-in rain shower. This is a premium suite. See World of Hyatt program terms for upgrade eligibility. Step inside this stylish suite featuring 55 to 57 square meters of space, a bedroom with king bed, sitting area, large windows, and luxurious bathroom with a soaking tub and rain shower. This is a premium suite. See World of Hyatt program terms for upgrade eligibility. This 54-square-meter, top-floor suite features a bedroom with king bed, sitting area, dining room, and bathroom with a soaking tub and rain shower. 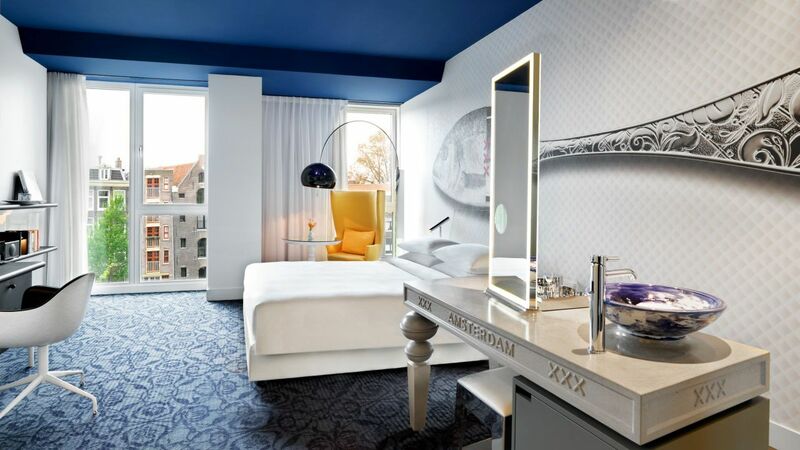 The suite’s floor-to-ceiling windows overlook the hotel Observatorium. This is a standard suite. 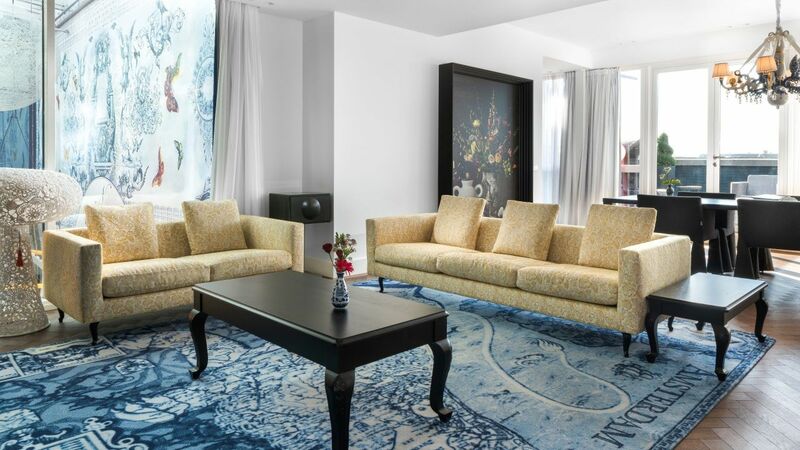 See World of Hyatt program terms for upgrade eligibility. 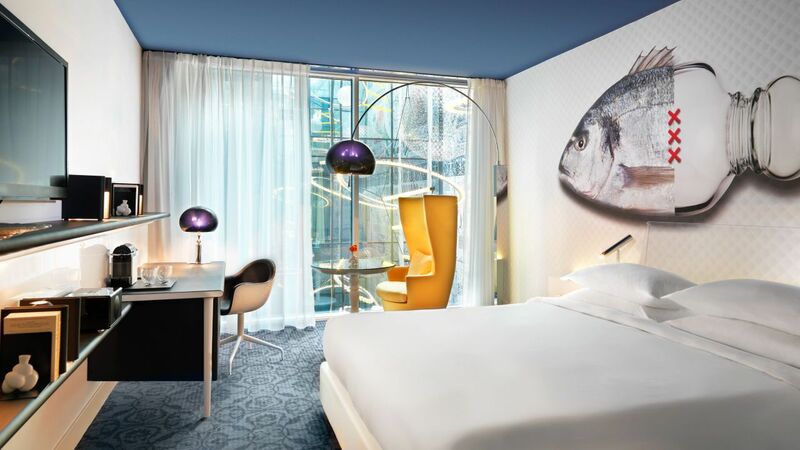 This 26- to 33-square-meter room includes one king bed, walk-in closet, large work desk, reading chair, interior facing views over our Marcel Wanders universe-themed Atrium & unique open bathroom concept. 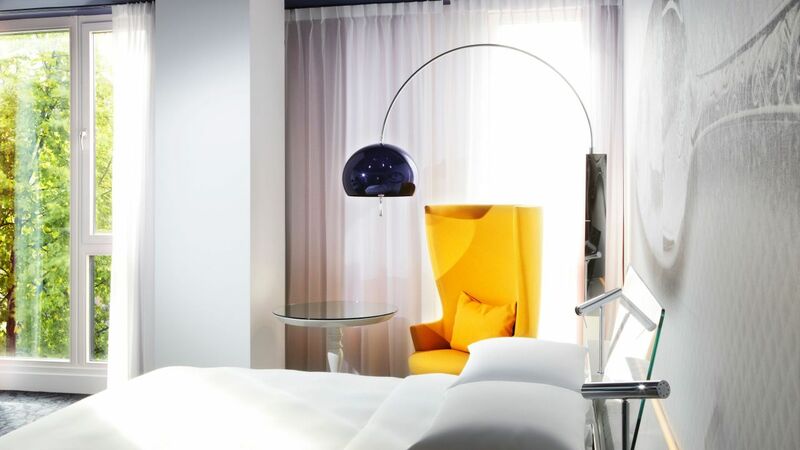 This 26- to 33-square-meter room includes one queen bed, walk-in closet, large work desk, reading chair, interior facing views over our Marcel Wanders universe-themed Atrium & unique open bathroom concept. Enjoy garden views from this tranquil 27-square-meter guestroom, featuring a king bed, walk-in closet, a spacious work desk, and rain shower. Open bathroom concept. This 27-square-meter, light-filled guestroom boasts garden views, as well as a queen bed, walk-in closet, work desk, and rain shower. Open bathroom concept. Enjoy 27 square meters of space in this guestroom, featuring two twin beds, walk-in closet, work desk, rain shower, and views of the garden. Open bathroom concept. Inside this spacious 31- to 36-square-meter guestroom, you’ll find a king bed, walk-in closet, work desk, rain shower, high ceilings, and garden views. Open bathroom concept. 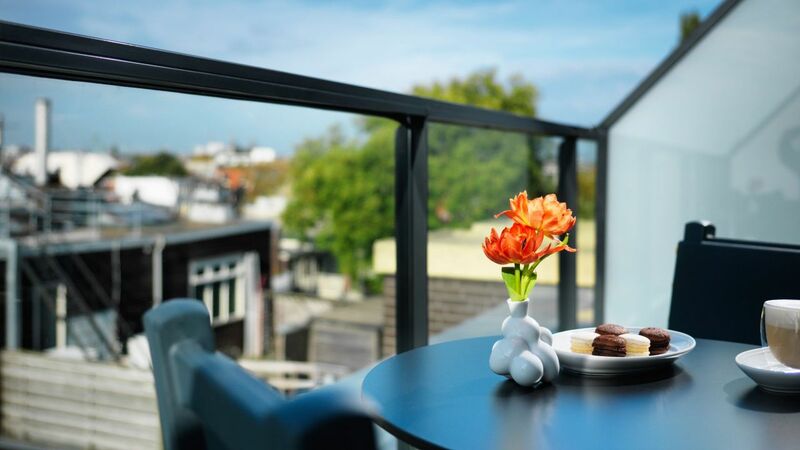 Step out onto the balcony of this 31-square-meter guestroom complete with a queen bed, rain shower, walk-in closet, workspace, and garden views. Open bathroom concept. Unwind in this 28- to 32-square-meter guestroom, outfitted with a king bed, walk-in closet, work desk, rain shower, reading chair, and canal views. Open bathroom concept. 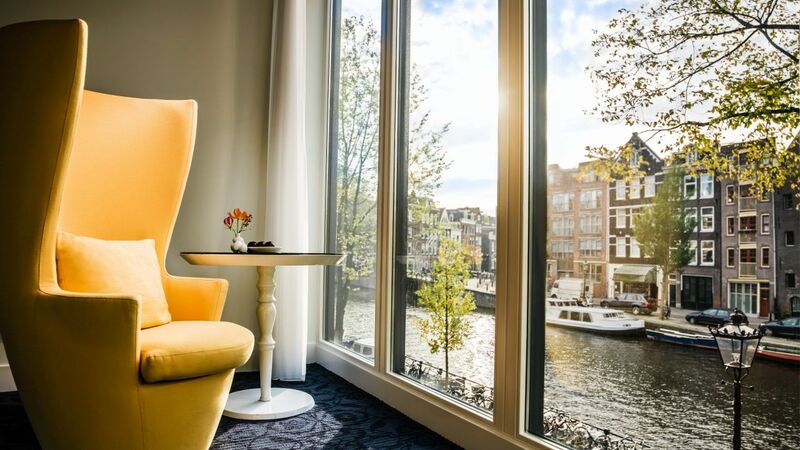 Relax amid 28 to 32 square meters of space in this guestroom featuring canal views, a queen bed, walk-in closet, work desk, rain shower, and reading chair. Open bathroom concept.